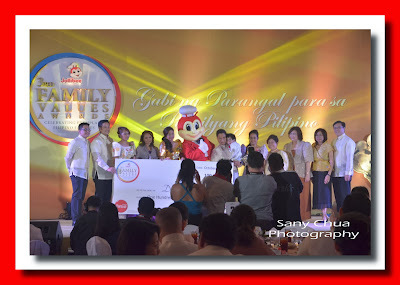 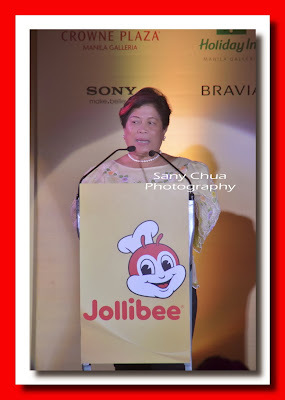 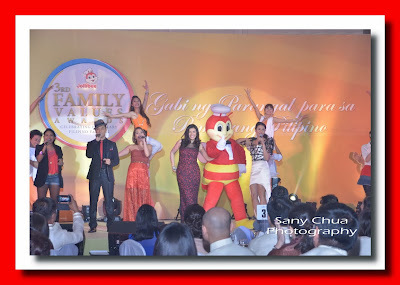 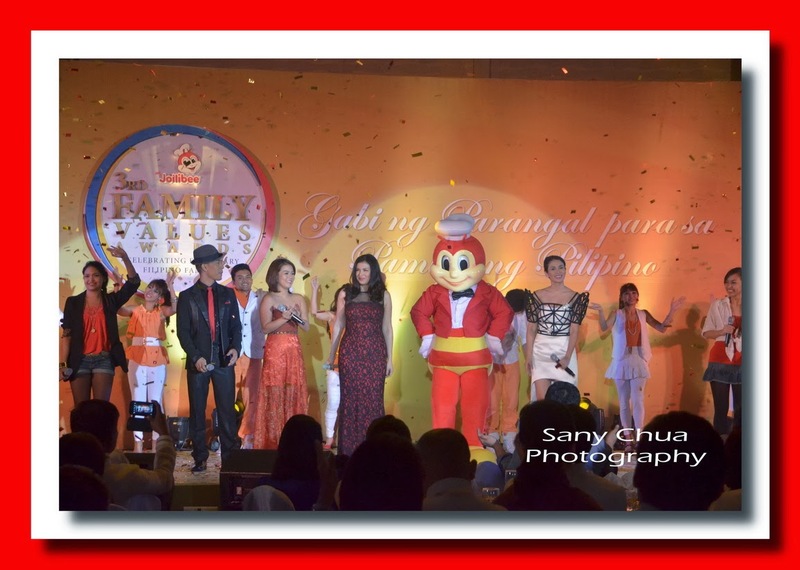 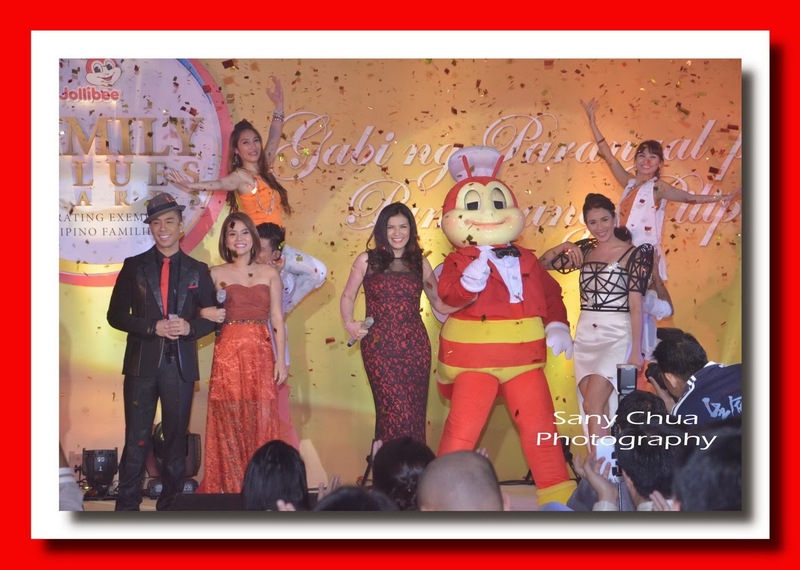 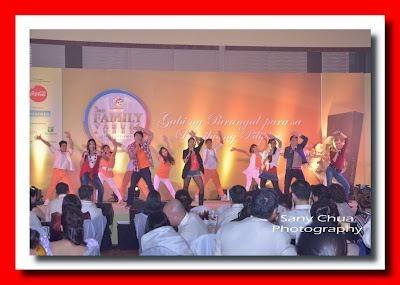 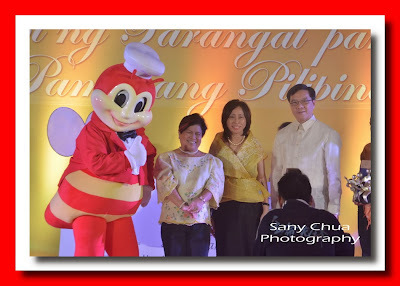 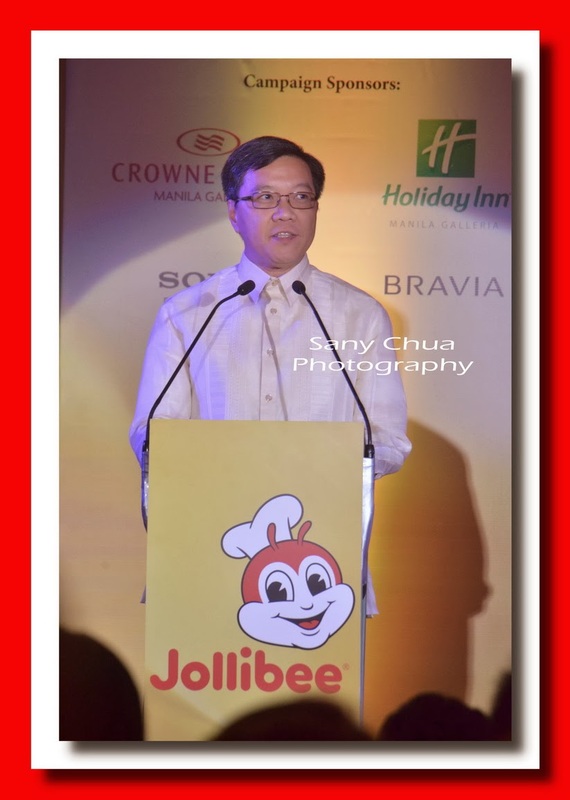 The Philippines’ leading fast-food chain, Jollibee, honored a new batch of outstanding Filipino families who made a difference in other’s lives in the 3rd Jollibee Family Values Awards. 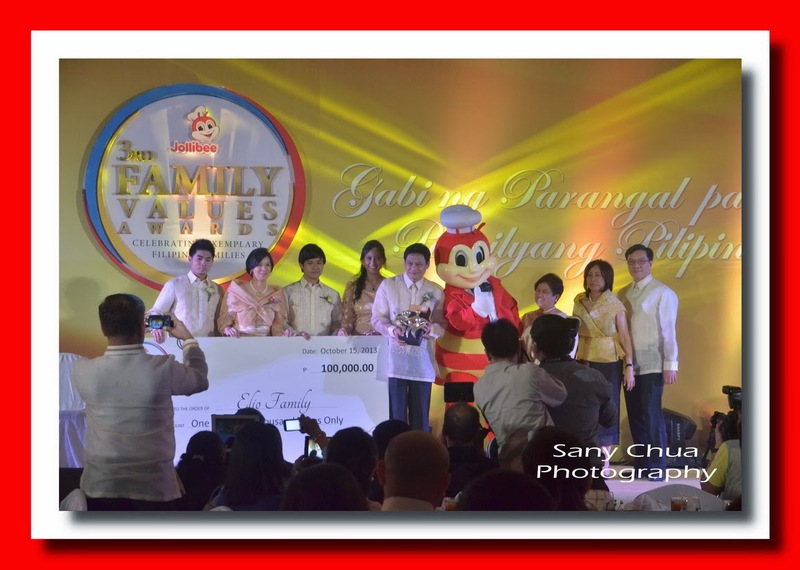 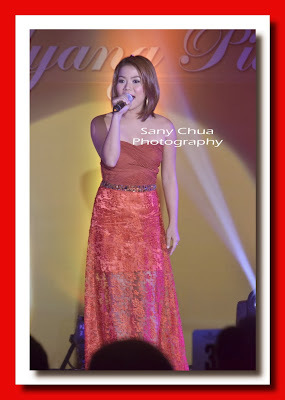 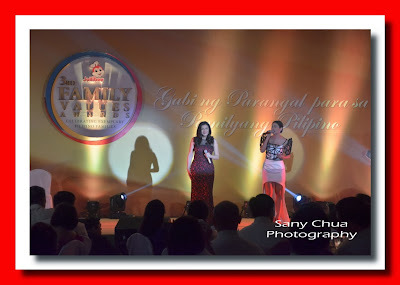 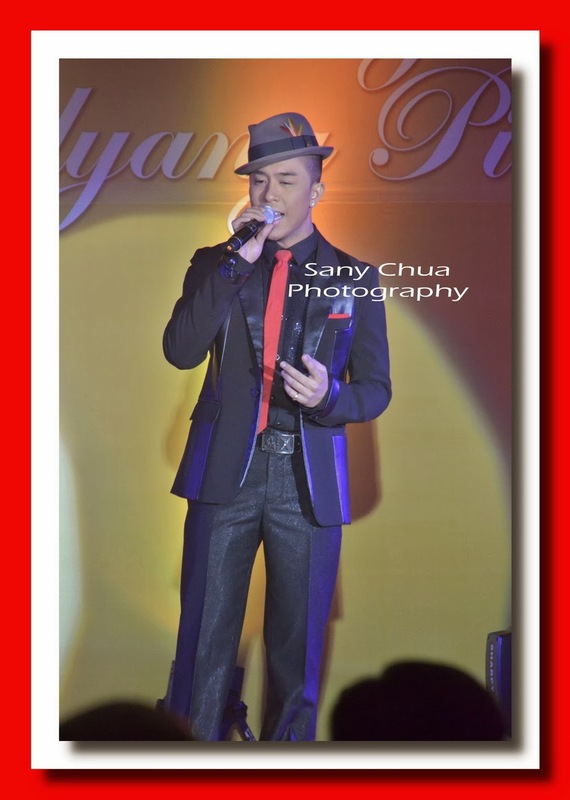 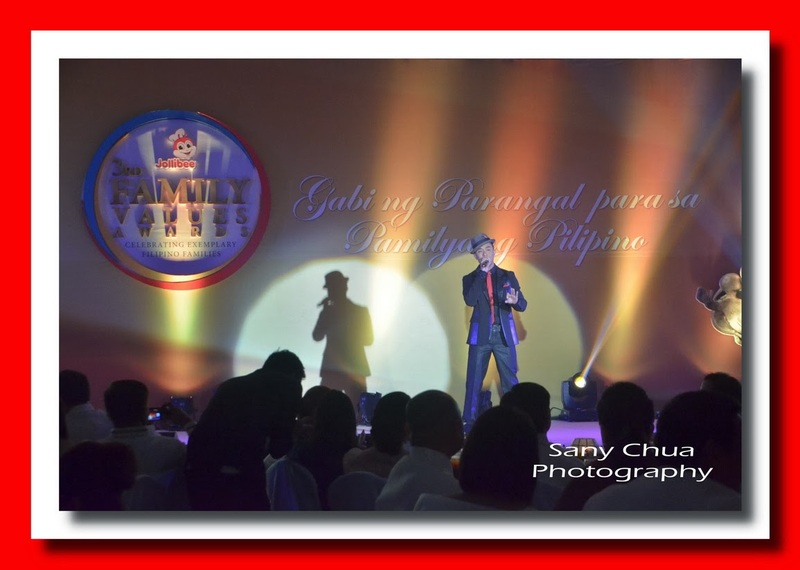 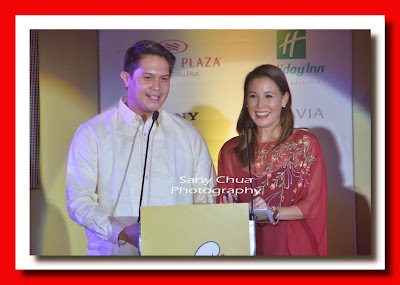 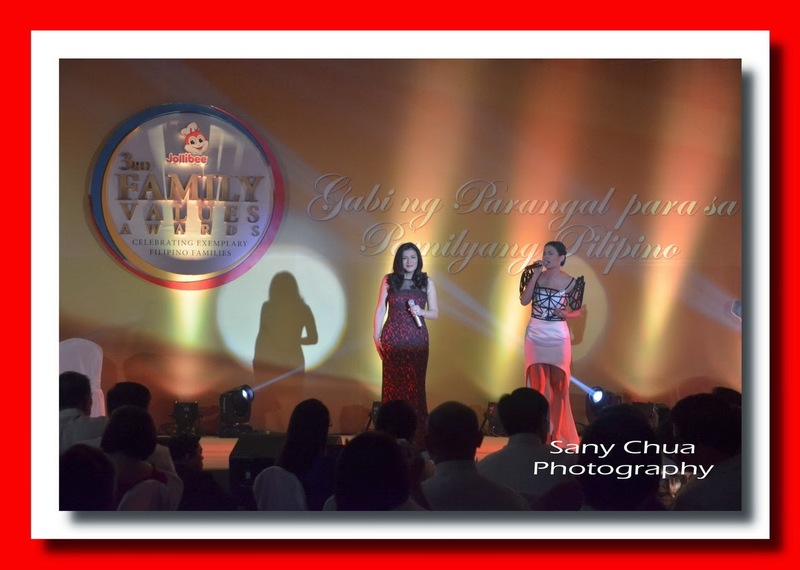 The Gabi ng Parangal para sa Pamilyang Pilipino, held at the Crowne Plaza Manila Galleria in Ortigas, Pasig City, culminated the two-month search that garnered more than 1,400 nominations from across the country and in other parts of the world. 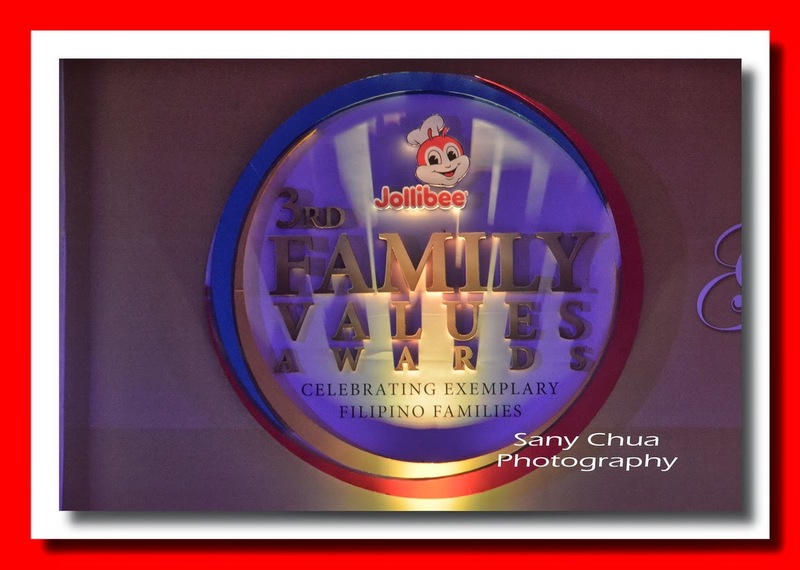 Hailed as this year’s most exemplary families were: Mr. and Mrs. Danilo and Jacqueline Rayo and family of Sta. 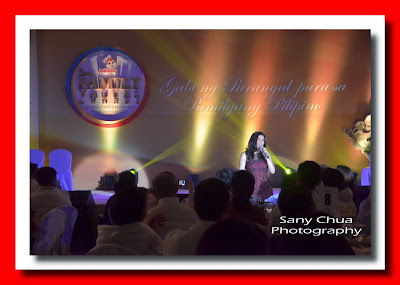 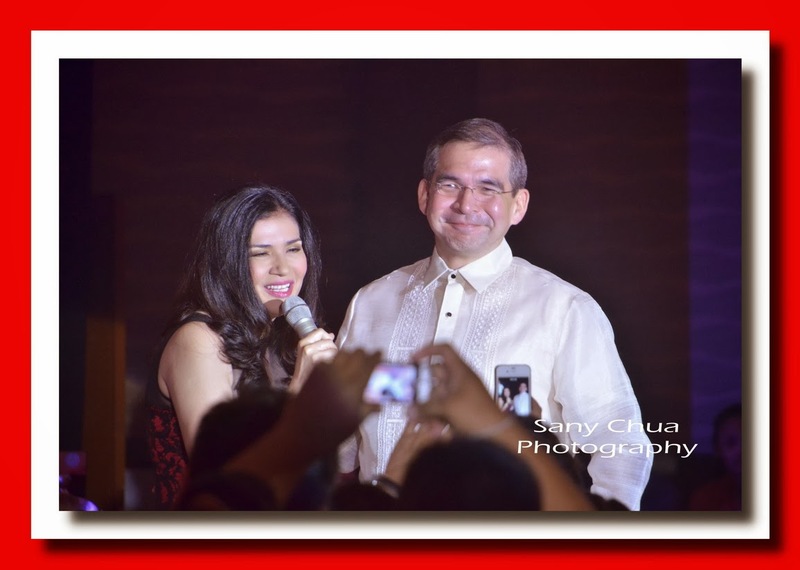 Ana, Manila; Mr. and Mrs. Rex and Marissa Bernardo and family of Camarines Norte; Mr. and Mrs. Jose and Gloria Supanga and family of Camarines Sur; Drs. Egidio and Thelma Elio and family of Antique; and Mr. and Mrs. Anton and Marie Joyce Lim and family of Zamboanga City. For their remarkable commitment to serving others, Mr. and Mrs. Michael and Glenda Duque and family of the United Kingdom were also chosen as the first recipient of the Global Pinoy Family of the Year award. 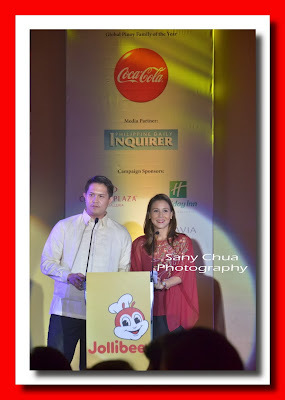 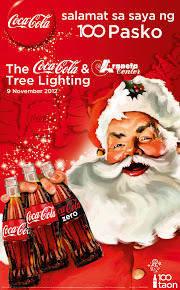 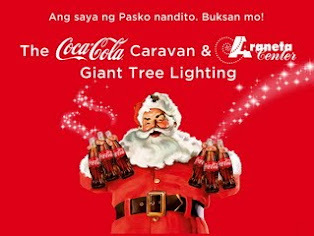 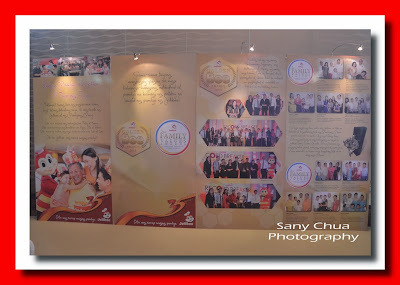 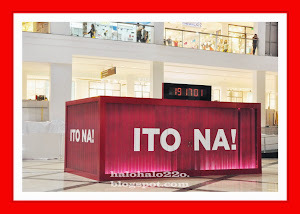 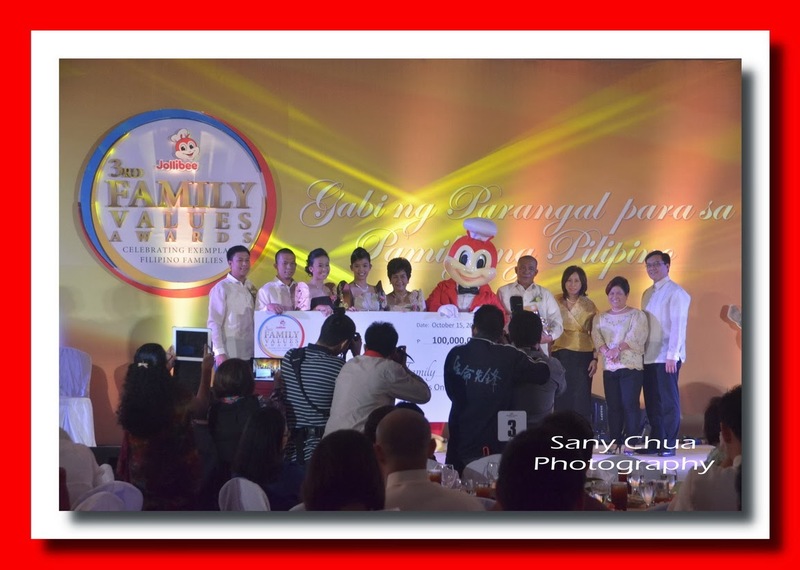 Co-presented with Coca-Cola, this recognition pays tribute to Filipino families who have family members or even the whole family living overseas but still manage to work together toward meaningful pursuits for the benefit of others. 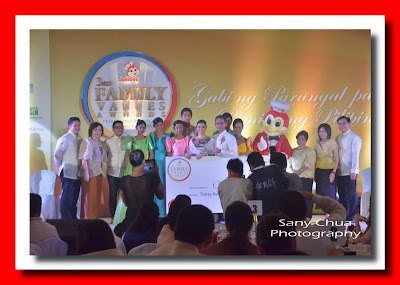 Moved by the various stories of generosity by Filipinos abroad, the judges also decided to bestow a Special Citation for another inspiring OFW family, Mr. and Mrs. Cirilo and Vilma Carmona and family. 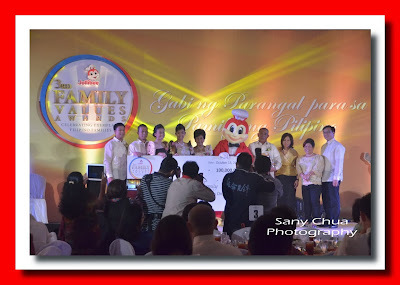 The Carmona family, whose members are based in Spain, Bahrain and the United States, as well as in Laguna, work together to help beneficiaries in their hometown of Oriental Mindoro. 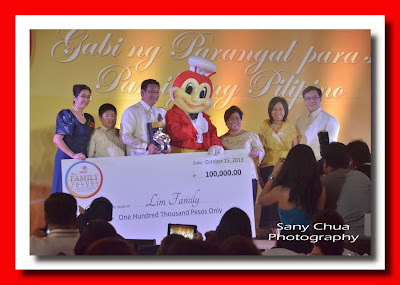 The five winning families from the Philippines and the recipient of the Global Pinoy Family award each received a cash prize of P100,000 tax-free, a trophy designed by renowned brass sculptor Michael Cacnio, a 32” Sony Bravia LCD TV, and Jollibee gift certificates and Jollibee Padala Vouchers. 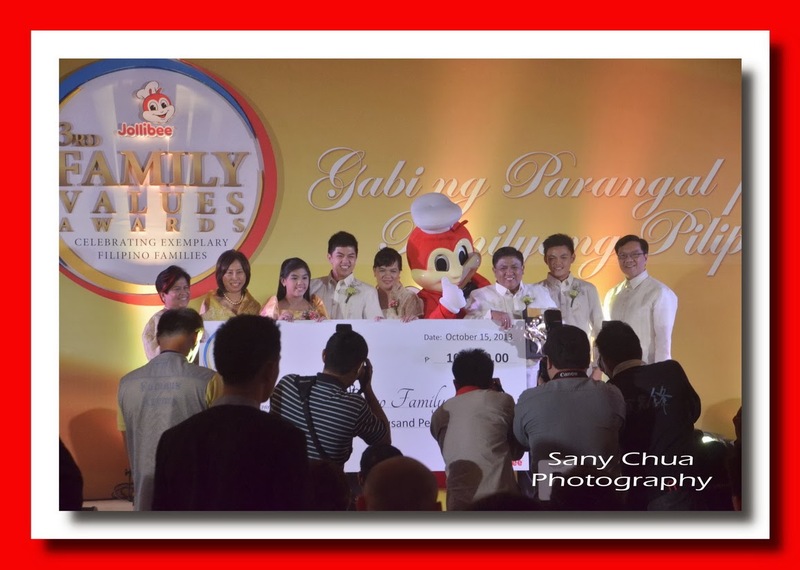 The recipient of the special citation took home a special plaque of recognition, P35,000 in cash, and Jollibee Padala vouchers worth P5,000. This year’s Board of Judges was co-chaired by Department of Social Welfare and Development Secretary Dinky Soliman and Jollibee Group Foundation President Grace Tan Caktiong. 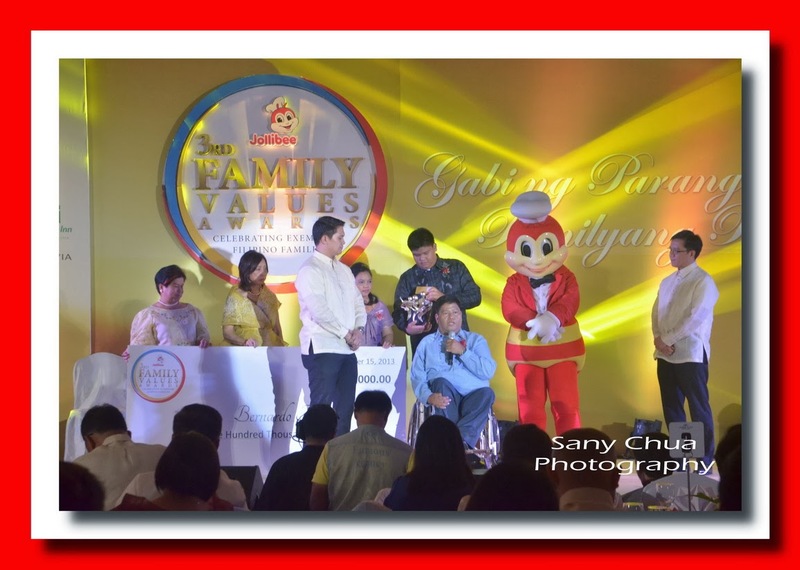 They were joined by Overseas Workers Welfare Administration Head Carmelita Dimzon; Jollibee Vice President for Marketing Harvey Ong; Jollibee Foods Corporation Global HR Head Theresa Jotie; ABS-CBN Chaplain and Chair of the Management Committee for Public Service Integration Fr. Tito Caluag, S.J. 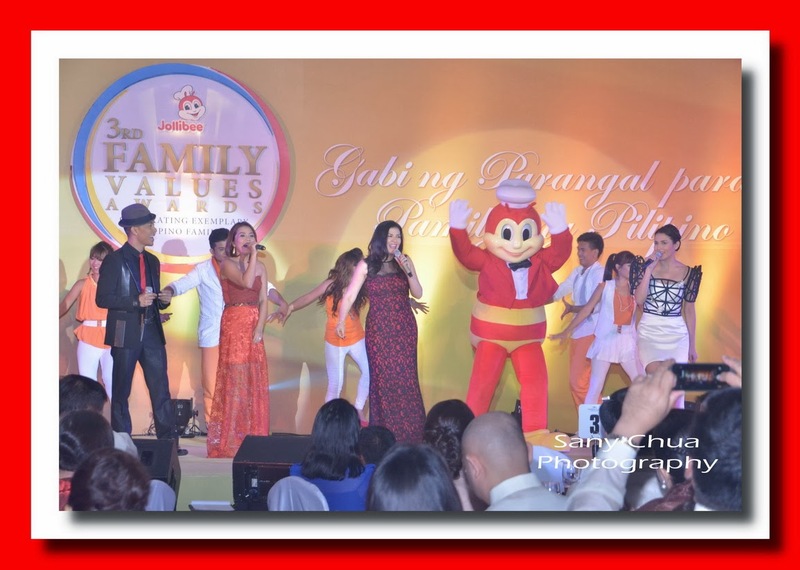 ; broadcast journalist Karen Davila; parenting and relationship consultant Maribel Sison-Dionisio; inspirational speaker and corporate trainer Francis Kong; TV host Christine Jacob-Sandejas; and Coca-Cola Export Corporation’s Director for Public Affairs and Communications Atty. 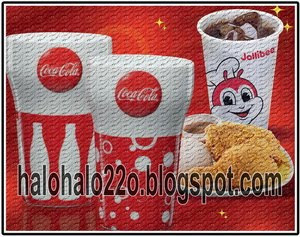 Adel Tamano. The 3rd JFVA was made possible with the support of campaign partners Coca-Cola and Philippine Daily Inquirer, and sponsors Crowne Plaza Manila Galleria, Holiday Inn, Sony Philippines and Bravia.